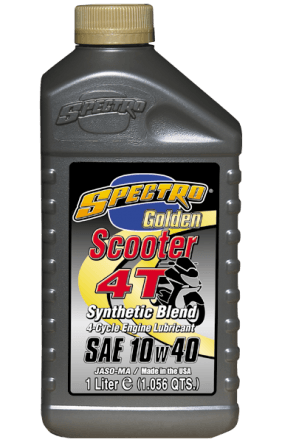 Golden Spectro Scooter is our premium synthetic blend lubricant for scooters. Exceeds all known manufacturer’s warranty requirements, plus A.P.I. SL/JASO MA/MA2. Smoother shifting, highest shear stability, exceptional endurance for the price.